Cloud computing is internet-based computing that makes the whole process easy and convenient. Previously, most people ran programs or applications that were based on downloaded software, cloud computing allows people to access similar applications on the internet. There are many benefits in being able to do this. It is an affordable and high performance platform that helps build websites and applications which scale storage, servers, networking and more. Small & medium size businesses can benefit from switching to Cloud hosting in terms of saving money and less capital investment on traditional IT systems. It has been predicted that by 2014, small businesses will spend at least US$100 billion on cloud computing services. Cloud allows small businesses to increase efficiency and improve cash flow. 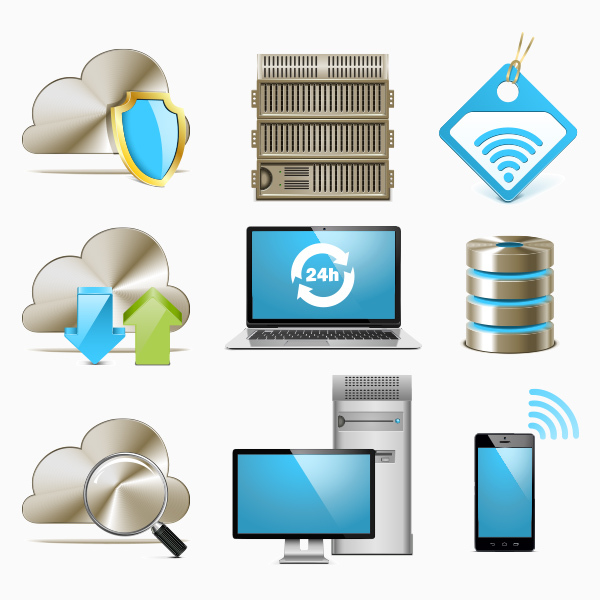 If a small business needs more than the standard bandwidth, cloud based services can immediately meet the needs due to the extensive capacity of its remote servers. When companies depend on cloud based services, they are no more in need of disaster recovery plans. Most issues are taken care of faster. Businesses that use cloud are also able to resolve most issues at least a couple of hours faster than those which do not use cloud services. It has also been found that mid-sized businesses are able to deal with the problem within 50% less time required by larger businesses. In this day and age where speed counts, there is no question the benefits of cloud computing can’t be ignored. Cloud also frees up the time and resources of the customer to do other tasks. These pay as you go services do not call for capital expenditure. As the services can be deployed faster, the project startup costs are nominal and ongoing operating expenses predictable. It allows you to increase volume and productivity with less people. Also, less 1-on-1 training is needed since it takes fewer people to do their job and gives a faster learning curve for system-related issues. Cloud computing enhances collaboration by allowing employees to synchronize and work on shared apps and documents, it allows users to follow colleagues and records for receiving real time updates. It has been surveyed that small businesses that invest in collaboration technology experience a 400% return on investment. It allows you to pay weekly, quarterly or yearly based on demand. It allows you to spend less money on technology infrastructure. These types of investments are hard to beat. Cloud allows employees to work virtually from anywhere with flexibility, thus enhancing their productivity and efficiency. 73% of knowledge workers have been seen to collaborate with workers in different regions and time zones through cloud computing. This allows you to globalize your workforce for less money; all they need is an internet connection. The absence of cloud would call for workers to send files back and forth through email which means that only a single person can work on a file at a time. This would increase the time it takes to complete tasks drastically and creates a virtual red tape. All the files can be placed at a single location, with everyone working from a principal copy. Employees can also chat with one another while making several changes in the file. All this strengthens collaboration which improves the bottom line of the business. You have access anytime you want, anywhere you want, it just flat out makes your life easier. With cloud computing, you will not face problems even when your laptop or mobile device is misplaced. This is because you can still access the data, irrespective of what happens to the machine. SMEs can access enterprise-class technology by allowing smaller businesses to act faster than their established competitors. Disaster management studies further prove that companies which do not use the cloud depend on tape backup methods and complex processes to recover. If a small or medium sized business makes use of cloud computing, they only make use of the server space they need, thus reducing their carbon footprint. In fact, at least 30% less energy consumption and carbon emission is reduced with the cloud than using onsite servers. Almost 90% energy can be saved in the process. Cost effective: Reduced software, hardware, management and maintenance costs. Convenient: Allows you to use efficient IT staff better while needing less people. Richard McMunn is the founder of www.how2become.com and the author of this post. Richard spent 17 years in the Fire Service and now provides specialist recruitment training for those looking embark on a public sector career. You can also connect with https://twitter.com/how2become on Twitter.